The Americans have invaded Cornwall and taken over the Cornish pasty at the Eden Project’s World Pasty Eating contest. The Cornish pasty is now under threat. A pineapple filled pasty, of all of the things, has swept away all competition to be crowned the winner of the World Pasty Championships in Cornwall. Mike Burgess, a US baker, created his own version of a classic pasty. Described as the Hawaiian, it has caused outrage amongst many traditional Cornish people, notably including Sir Tim Smit, the founder of the Eden Project. He voiced his astonishment and ironic concern, as one of the members of BBC Question Time last Friday. As one of the audience members, an undergraduate student at Exeter (Cornwall campus) and a speaker on BBC 4 ‘Your answers’, I have first-hand experience of the current views on this issue. Frank Field, the Labour MP for Birkenhead, was another member of Question Time on Friday. 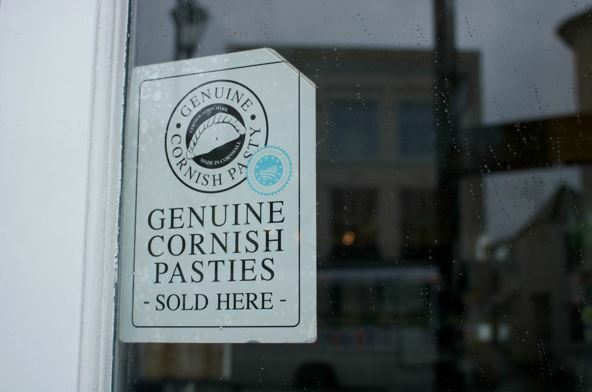 He voiced his concern about ‘having faith in Cornish producers’ to not only maintain the high quality of Cornish pasties but even to increase the quality of ingredients and keep heritage intact. This seemed to have little movement on the fixed opinion of the audience, who are rightfully concerned. There are actually a number of issues surrounding the Cornish pasty question. Speaking to Sir Tim Smit, was completely opposite of ideological views to Frank Field, a he is anti-Brexit but both are Labour supporters; the debate is a polarised one. There is an important underlying concern that runs parallel to the Eden Project competition story, which should be unpicked and analysed. After Brexit, the Cornish pasty may lose its protected status, i.e. the EU’s Protected Geographical Indicators (PGI) on certain foods. Will this be detrimental to Cornish businesses and the economy? According to the Cornish Pasty Association, 120 million pasties are made each year, totalling £300 million of trade, 20% of Cornwall’s food and drink sector and employing two thousand people working in pasty production. I spoke on BBC Radio 4 with Anita Anand on Saturday to address the current local and national concern. My issue with this Brexit fear is that there are many British products that are defined at the national level that any country could copy, replicate and produce all around the world, maybe even compete with Britain on. Yorkshire pudding, scones, English breakfasts and Yorkshire tea are all products that are not protected. As a proud Yorkshireman, I would be vexed if I saw an alternative foreign company producing cheaper, lower quality Yorkshire puddings or Yorkshire tea and then calling it ‘Yorkshire puddings’. In recognising and accepting my own fear, I can understand why the Cornish are also anxious and worried about losing their proud heritage. We need to look closer at some of these fears. The first step, what I call the initial fear of the unknown, is based on emotional reasoning. This is where the situation represents a cultural entity changing something that you know, are accustomed to and have a positive relationship with, but you don’t know what is definitely being changed (as you could have done something about it). In this case, it is that Cornish pasties are changing from their original recipe, like including pineapple as an ingredient in something that is built on your heritage. The second stage of this fear is what I call consequential fear. It is based on reason, as you try to justify your view post-hoc – in this case it is saying thousands of jobs and much local economic output will be lost. This is only valid to a certain extent, as it assumes that consumers will purchase the alternative pasty instead of the authentic, quality-approved one. To demonstrate that individuals can tell the difference between an authentic tasting product and a cheaper ‘knock-off’ version, I asked the BBC 4 host if she has ever bought a supermarket version of sushi, which is a Japanese national dish. She said she had. I then asked about the quality: ‘was it good’? she replied with “it’s alright, I eat it” but I hinted at something more – she was hungry, so she had to eat something. The supermarket sushi was good enough to stomach. That is not the definition of high-quality food. As a result, individuals often flock to countries to taste their authentic food. We go to Italy to try their world-famous pizza and gelato; we go to Germany to try their beer, sauerkraut and Frankfurters; we go to France to taste delicious patisseries. We can, and do currently replicate their cultural gems; on a few products, we have made something close to a bastardized version. However, at the end of the day, we still know that our version will never surpass the perfection of their cultural heritage. And we are not expected to. We haven’t had years of understanding how and why pizza originated in Italy and what meaning and importance it brings to them. We understand that language, appearance and social structure are important to culture, but cuisine is just as important and often overlooked. Frankly, this is why I am not worried to the same extent as the Brexit sceptics. There are plenty of products that can be currently copied and a lot of them are not even recognized as a threat to the locals. American businesses that could, in the eventuality of losing protected status, would have similar operating size and power of large supermarkets but not the expertise of producing the same quality pasty.